Beximco(Bangladesh) - largest DTH service provider. 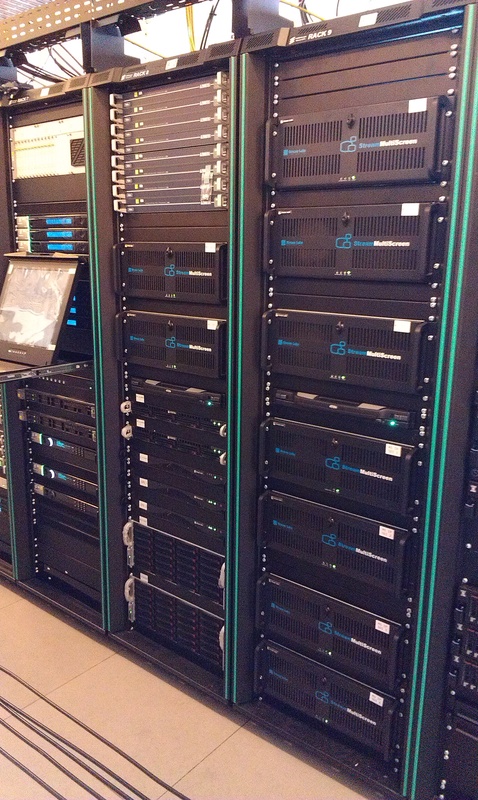 140 Stream Multiscreen licences, 140 Stream Multirec licences and at least 10 servers based on the Stream Labs software. Pixagility(France, Paris) - digital network provider in Europe and Africa. 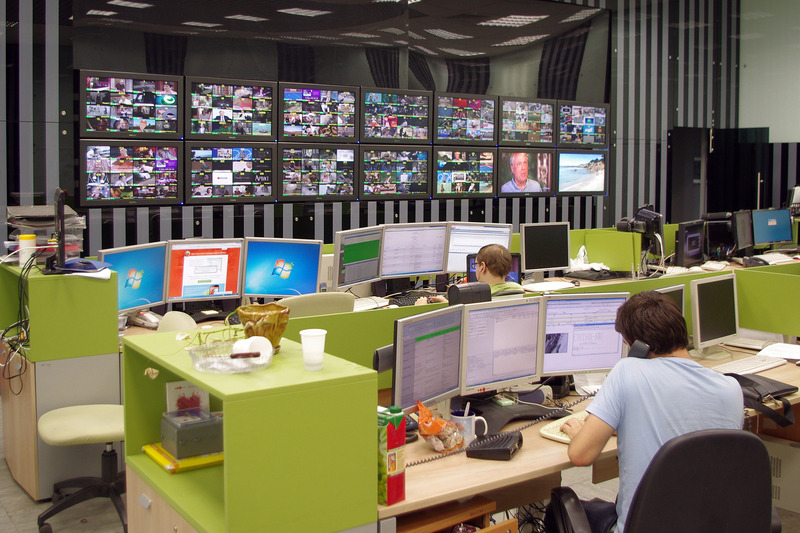 Stream Labs Monitoring system for 100 IP TS channels in different locations. 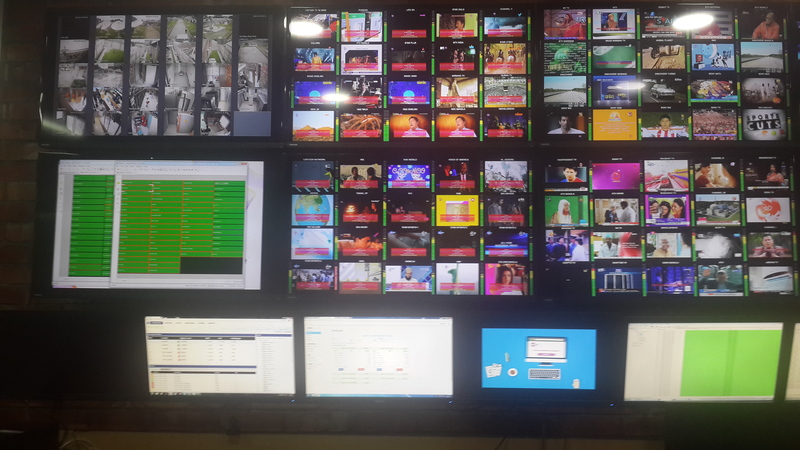 Stream Labs Monitoring system for 25 channels at 15 Remoted sites. 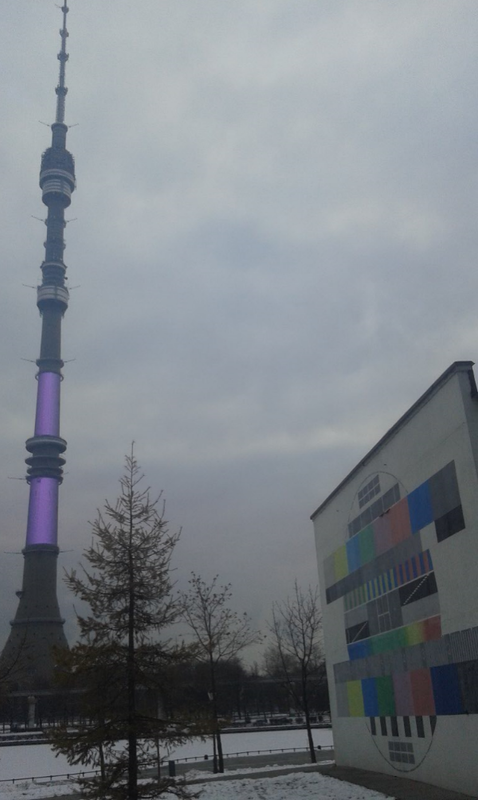 In order to provide digital broadcast, Serbia is divided into 15 regions, surrounding high power transmitters. The division by regions is stipulated by technical constraints, the content is the same across the board. 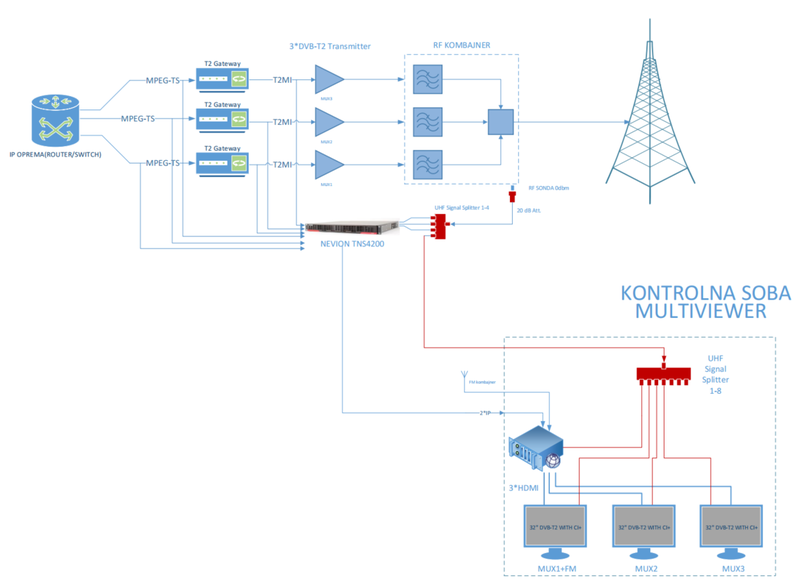 All transmitters that broadcast DVB-T2 MUX-1, MUX-2, MUX-2 operate using the same SFN frequencies. In a spring of 2015 equipment was delivered to all 15 regions of Serbia. 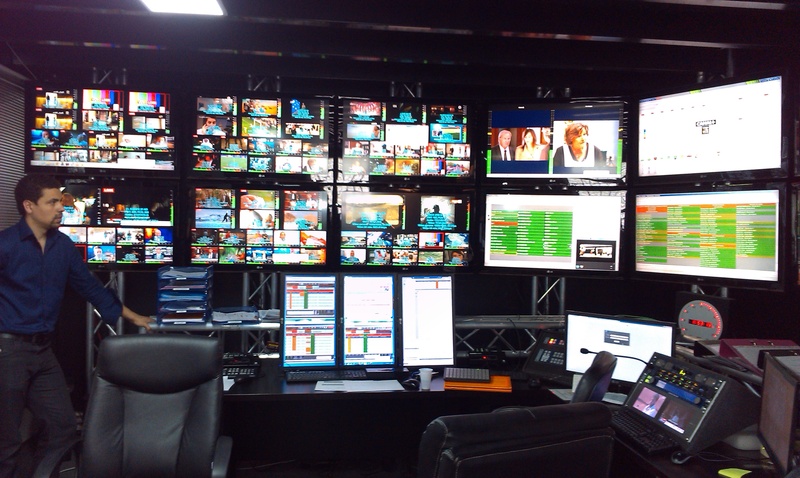 Ad Valem Technologies(France, Paris) - provides over-the-top, IPTV solutions, and satellite broadcast services for live soperates as a data center and media broadcast center. 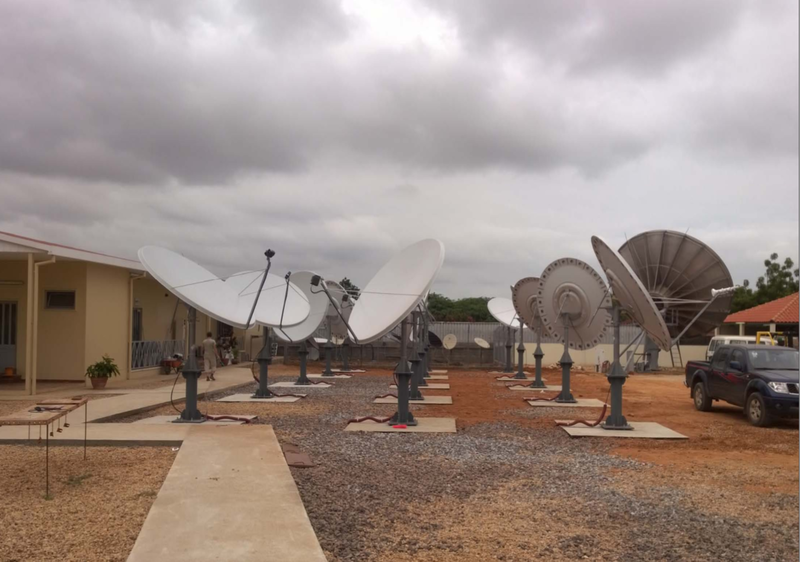 InfraSat(Angola, Luanda) - InfraSat – is a business branch of Angola Telecom, which was founded in 2008 for propagation of new satellite-based telecom technologies in rural areas. The company created first TV network, broadcasting national and international channels in Portuguese for residents of Republic of Angola. 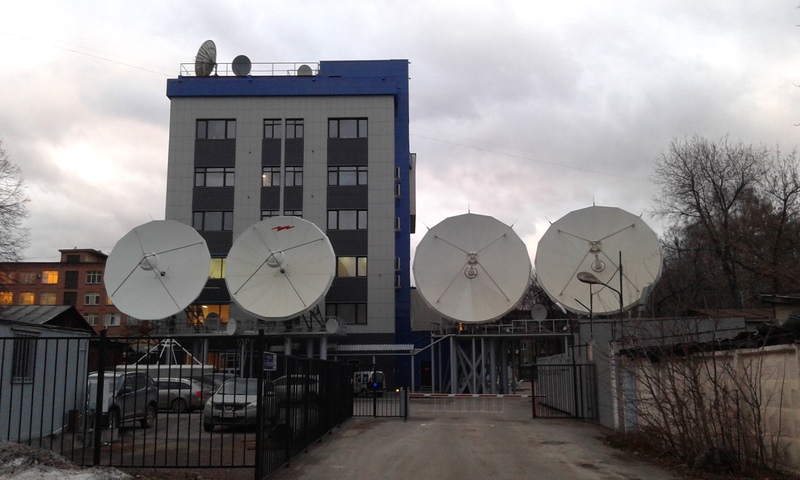 This DTH project was launched шт 2014 year for digital broadcast via satellite of 50 HDTV and 40 RF programs, in which InfraSat is a key player. -Coding of output signal by the system for conditional control and management of conditional access for up to 200,000 customers with potential growth to up to one million. (Conax). 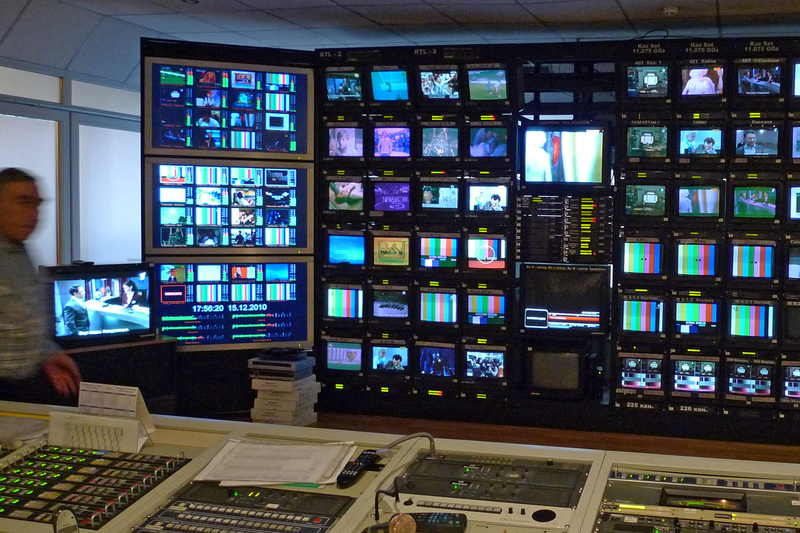 Input control – full instrumental – visual monitoring of TV and RF programs received from receivers and local land lines. Monitoring of discrepancies between PID’s in data and PID’s in PSI tables (PID Missing): errors of audio and video decoding; distortions of the picture; freezes of the picture; black frame; audio out of range; clipping, etc. Reverse monitoring - full instrumental-visual monitoring of re-broadcasted TV and RF programming, received from satellite receivers. 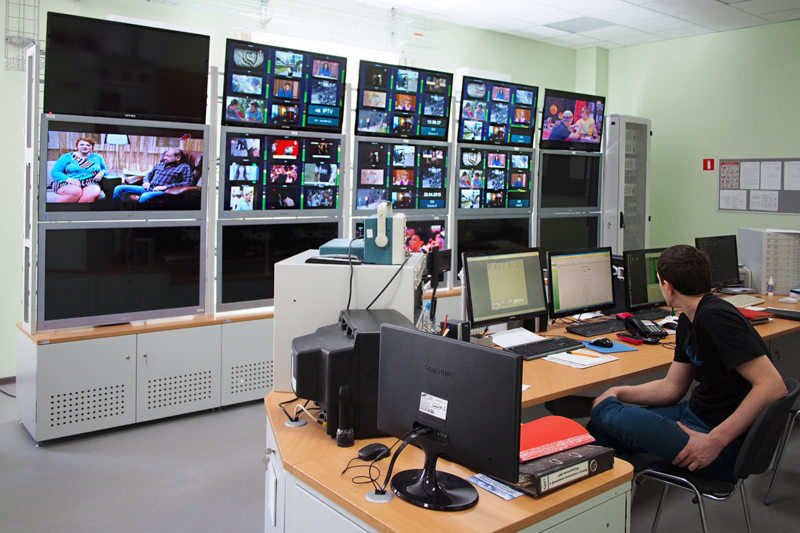 Compliance recording is also provided for all broadcasted TV channels with storage capacity for 90 days. SpeedCast (ST Teleport)(Singapore) - ST Teleport (http://www.speedcast.com/) – is a full-scale operator of satellite telecommunication services, which provides integrated media solutions and data transfer. 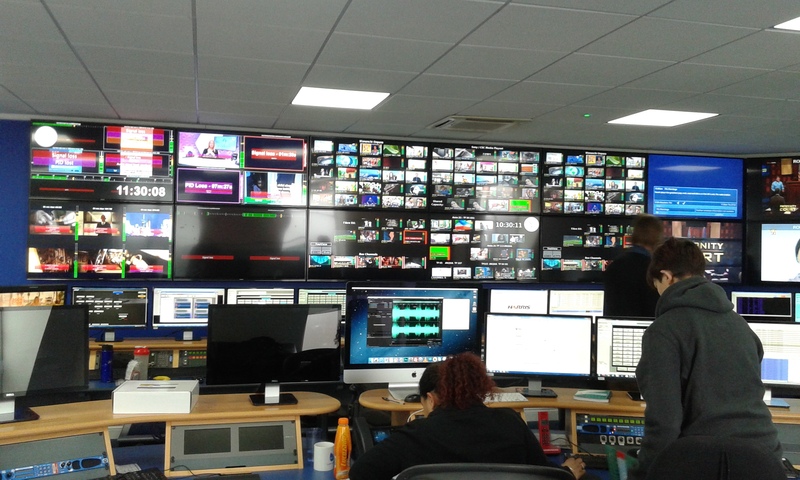 ST Teleport specialists have chosen Stream MultiScreen to monitor quality of TV services (visual instrumental control and “police” recording). 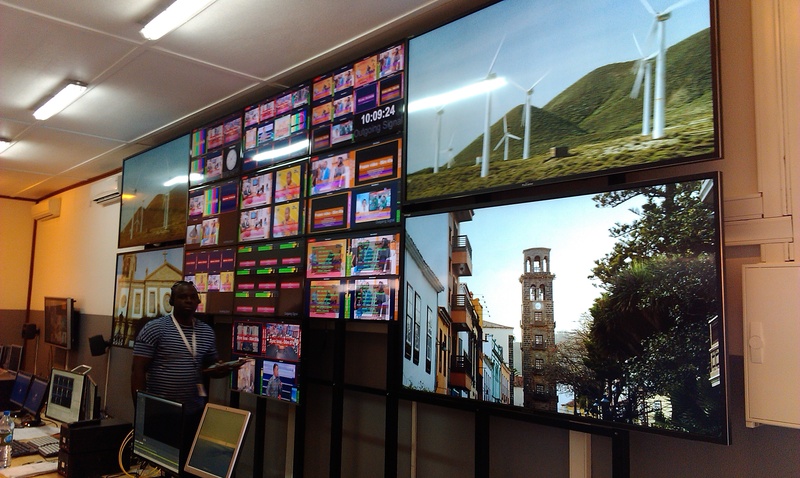 The equipment was installed in September 2015 and currently provides instrumental visual control of 64 HDTV services. 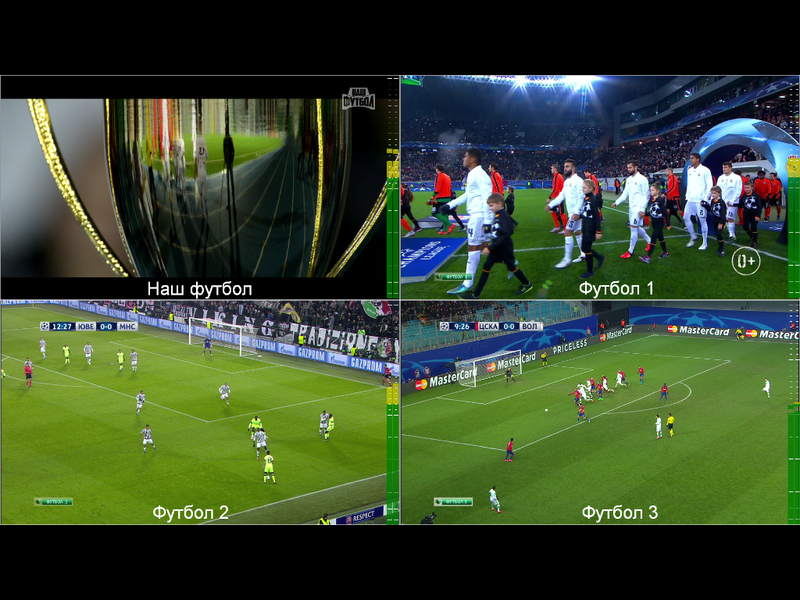 -DVB Subtitles - decoding and visualization of all subtitles included in a stream. Alarm events for disappearance of subtitle with configurable thresholds for a period not less than one hour. -Round Robin - cyclical control of TV services - "carousel". It works for both instrumental control mode, and for the visual one. -Penalty Screen - automatically adjusted output of channels with problems on a separate LCD-panel for visual control. 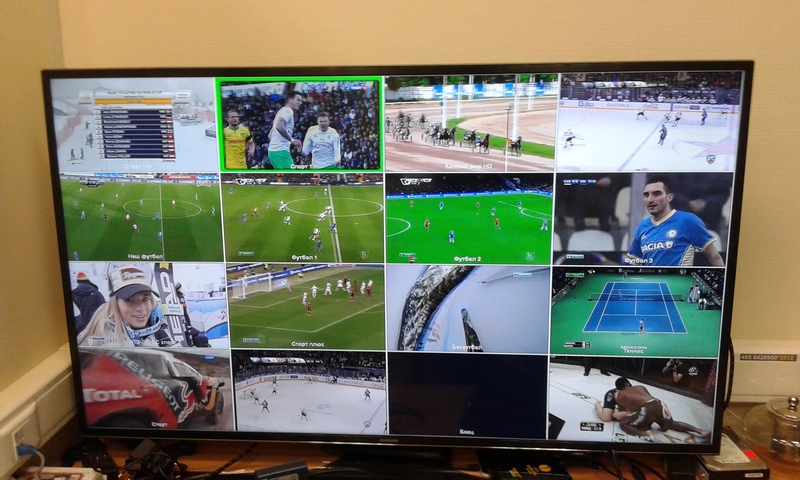 Monitoring H.264 in Mpeg-TS and T2MI streams and SDI sources at a couple of technical sites. 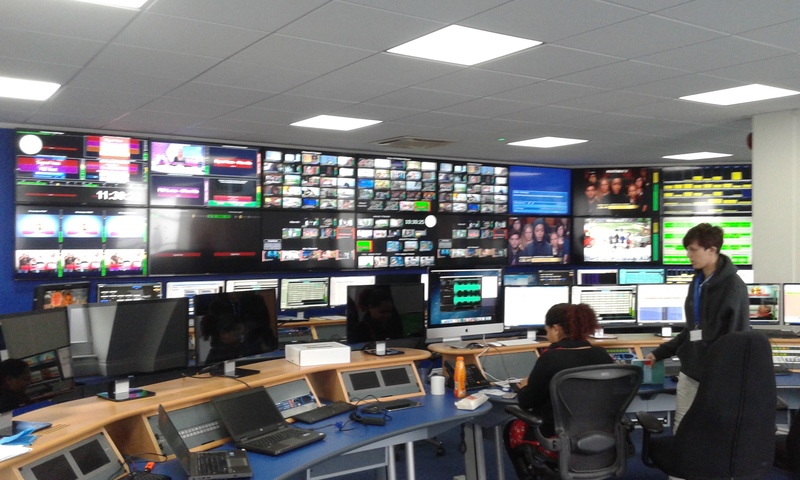 Federal Centr of Multiplexing use MultiScreen and MultiRec systems to control and record not less 330 channels - 220 services through SDI(11 servers - 20 channels each) and 110 ASI services(11 servers - 10 channels each). 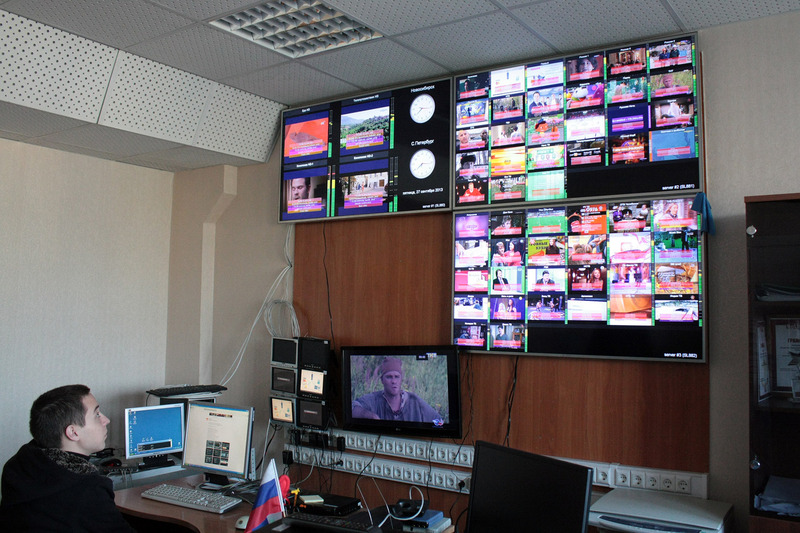 The total number of connected screens to the servers for visual monitoring is 30 pcs. 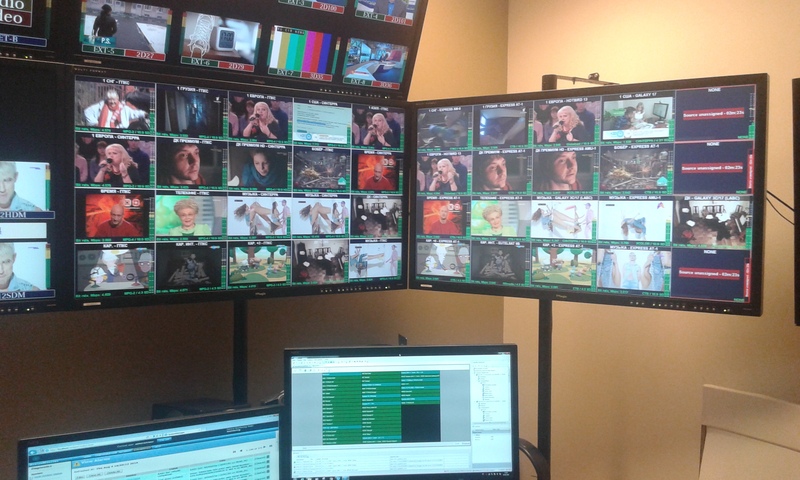 that allows to display all 330 channels. Monitoring system was installed in 2013-2014 years. 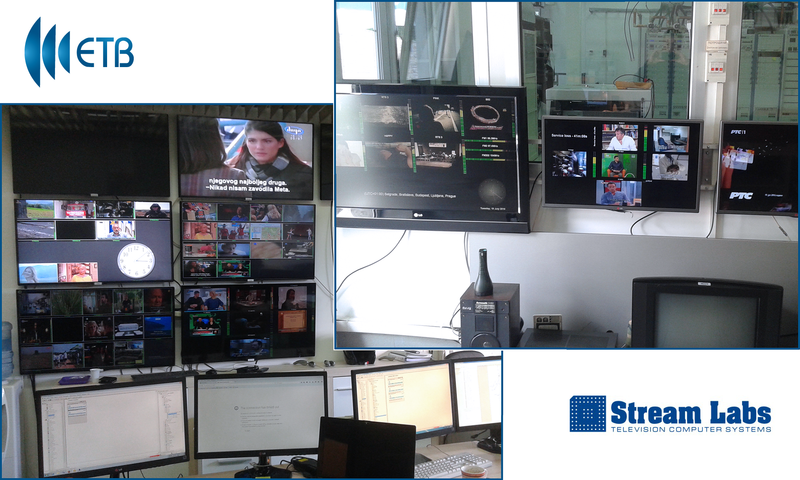 Within 2011-2013 years according the government programm of migration to the digital TV, Stream Labs was the main supplier for the Monitoring and Recording systems. -Emergency Warning System for generation TS in H.264 - 42 servers. 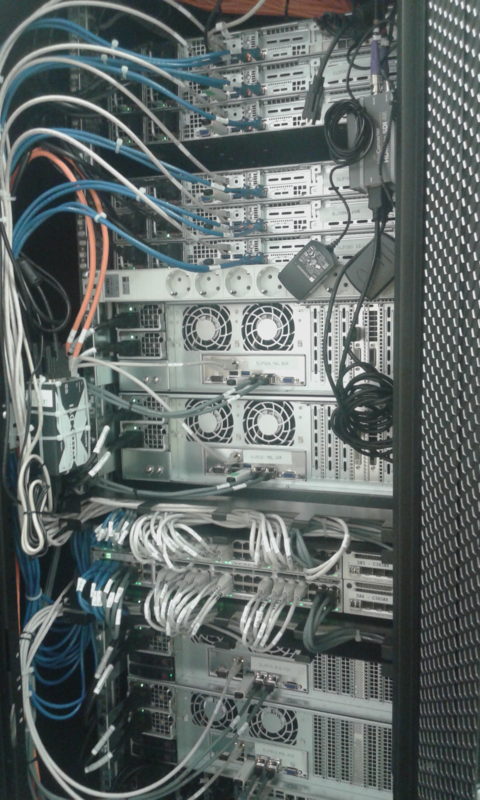 Stream Labs servers were installed in 88 different cities for 24\7 Monitoring and Recording. Examples of 2 installations(2 cities in RTRN) are below. 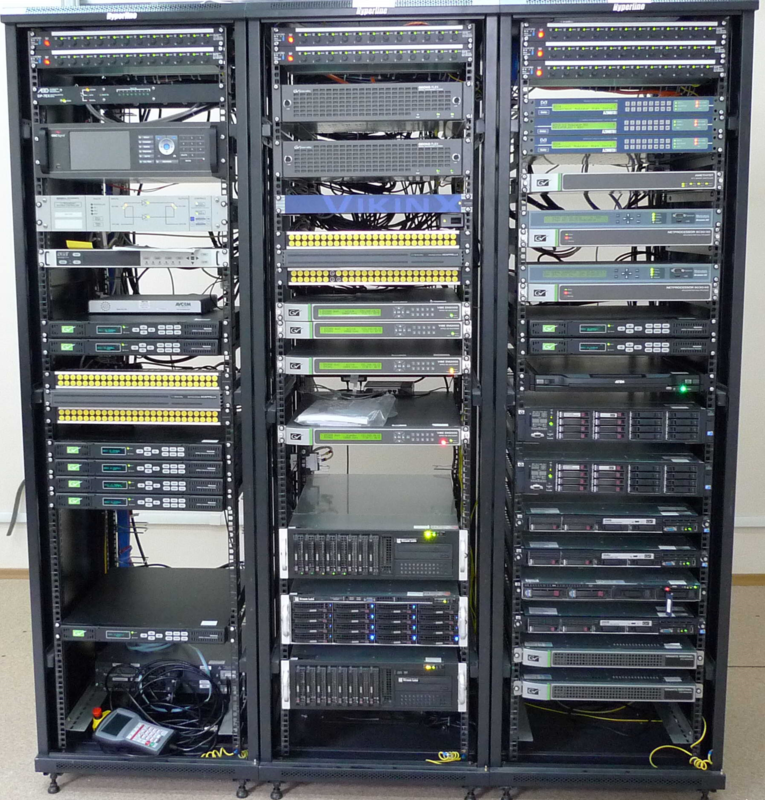 Monitoring and Recording systems for IP TS H.264, HD\SD-SDI. Installations for different stages were during 2010-2015. 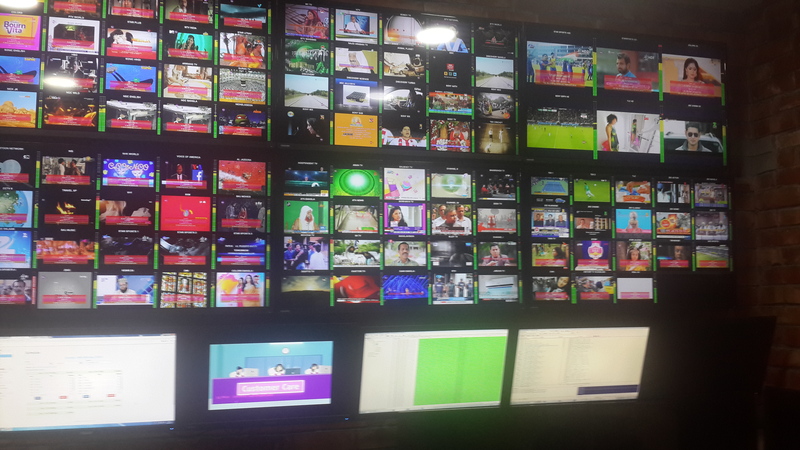 Tricolor has around 350 TV channels in total and 40 Radio channels. 40 of them are in HD H.264 and they start to migration to H.265 codecs. Also They have 4 channels in UHD 4K H.265. 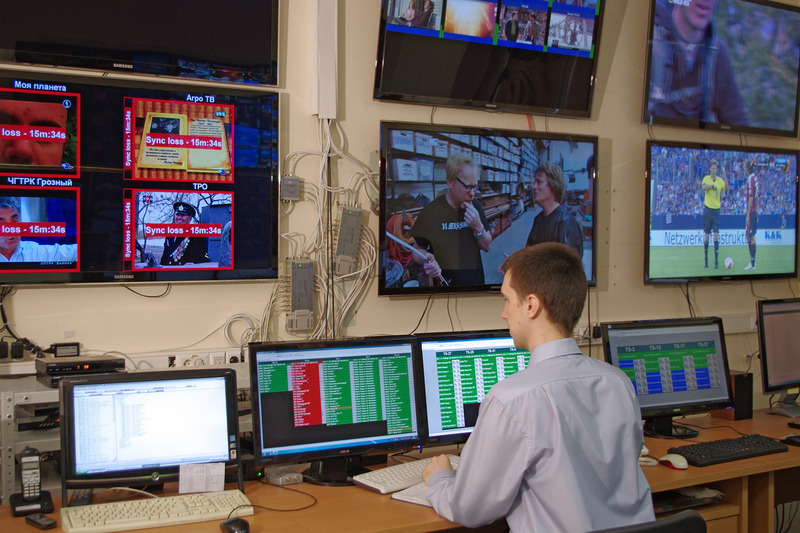 Tricolor TV - is one of main customers who use Monitoring system without visualization. They have visualization only for channels which have a problems. 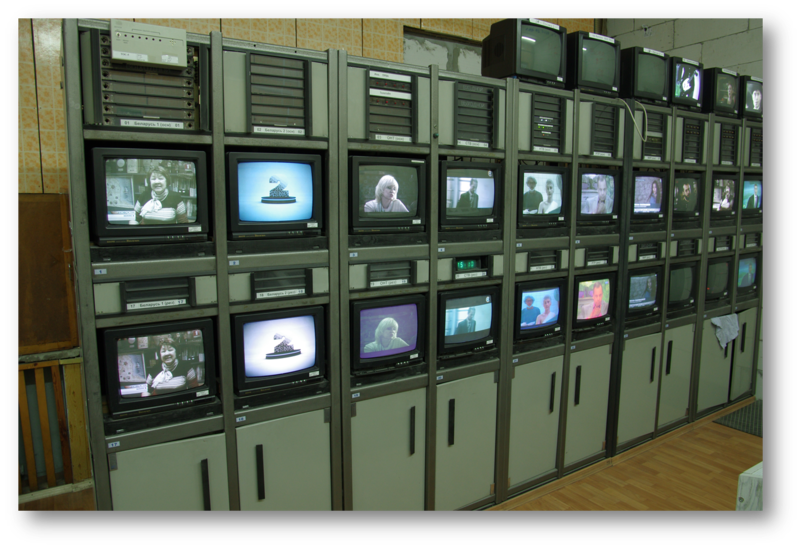 On the picture below is the old monitoring system based on small TV's. 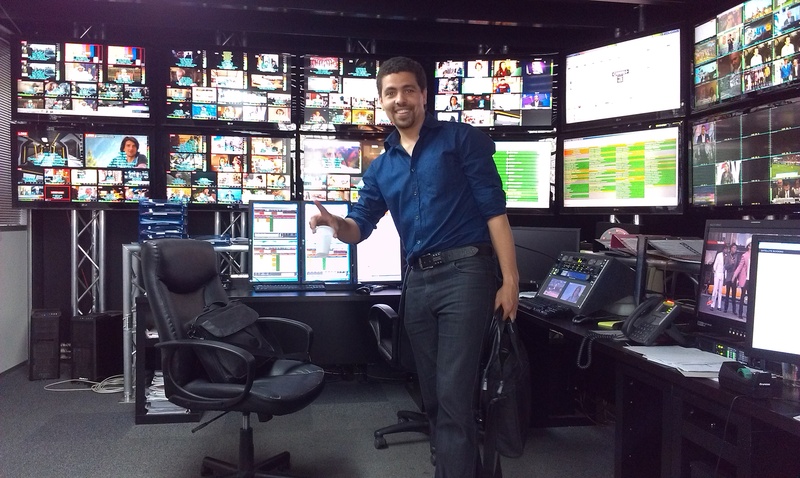 On the picture in left - new Stream Labs Monitoring system. 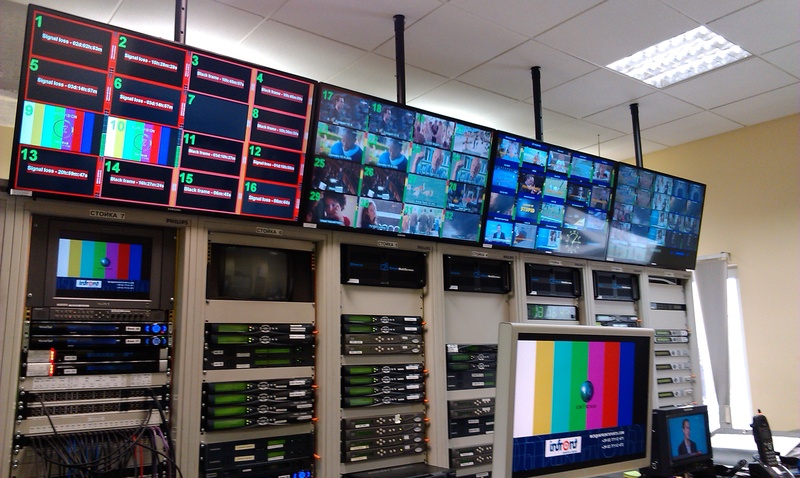 Stream Labs is supplier Monitoring and Recording systems for all of Tricolor TV channels from the end of 2011. 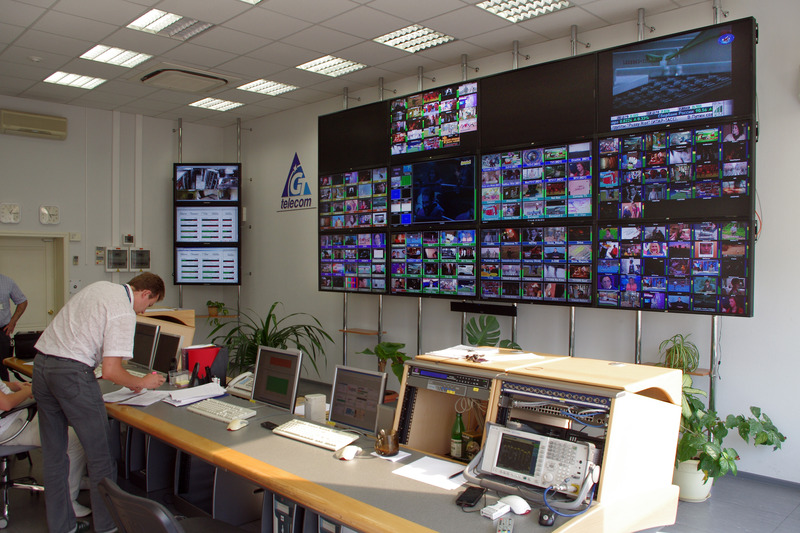 AKADO Telecom(Russia) is the largest independent Cable TV operator in Moscow. 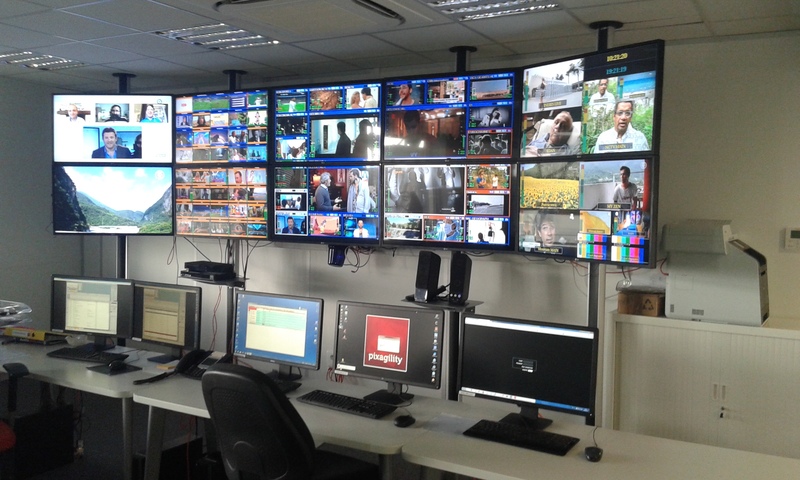 AKADO had monitoring all TV channels in their network ~ it's around 200 TV channels. Till the last time they had monitoring of TV channels through analog signals - after decoding video in the Set-top-boxes. But this type of monitoring turned up not effective because there required to many STBxes. 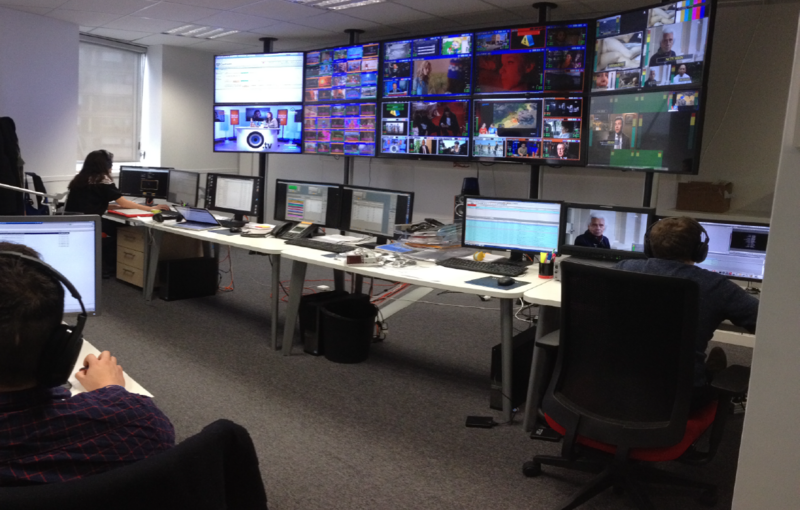 At this moment AKADO have migration to new version MultiScreen system to have ability to monitor IP TS in H.264. Kazteleradio(Kazakhstan) - is a telecommunications company which provide terrestrial, satellite television (including direct-to-home service Katelco Plus), radio, data transmission (including internet access), and telephony. -16 HD-SDI inputs, 1 HD H.264 UDP output. -8 HD-SDI inputs, 2 HD H.264 UDP output. All multicast streams generated by Stream Labs server receives in Amino STB-xes. 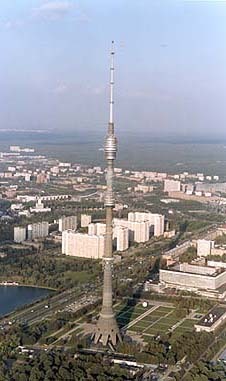 Ostankino(Russia) - Television broadcasting from Ostankino TV tower has been started since putting it into operation in November 1967. Initially, there were four analog TV transmitters. 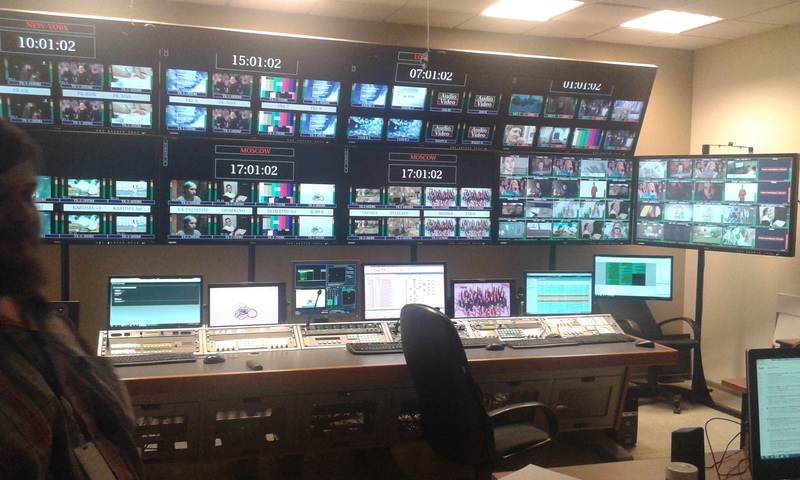 At this moment they have 3 DVB-T2 transmitters and broadcasting in 2 Multiplexes. 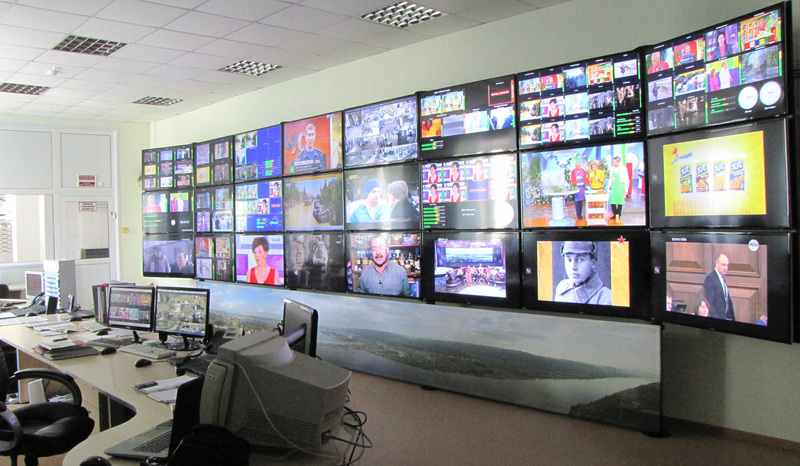 With Ostankino began digital broadcasting 20 channels in digital - DVB-T2, MPEG-4 SD. 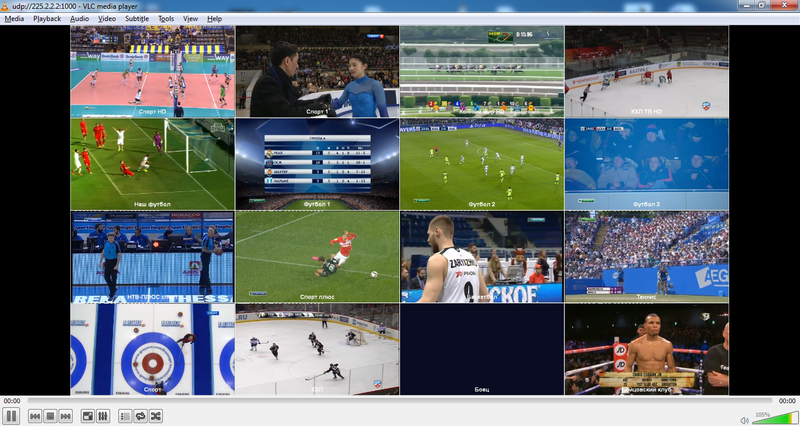 And Sports 2HD - in format HDTV. Olympic Games 2010 in Vancouver could be viewed as HD on Sports 2 HD. Frequency - 30 channel UHF, 1.5 kW transmitter. 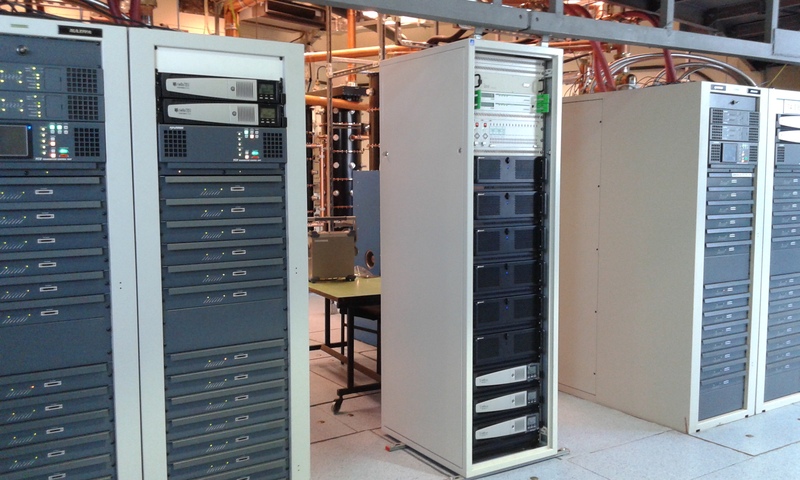 Since March, plans to start broadcasting two parameters: a 30 channel with a powerful transmitter of 10 kW, and HD - will broadcast a 34 channel transmitter 1.5kW. Beltelecom(Republic of Belarus) - largest telecommunication operator in the territory of our country. corporate information website of Rostelecom PJSC. 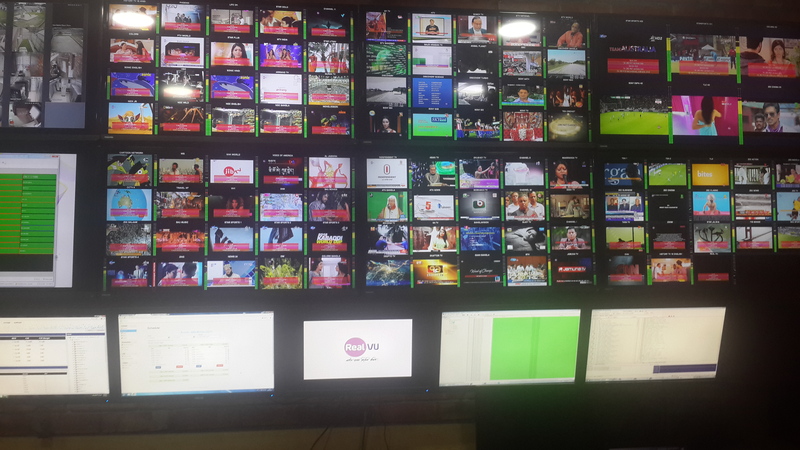 20 TV channels on each server.